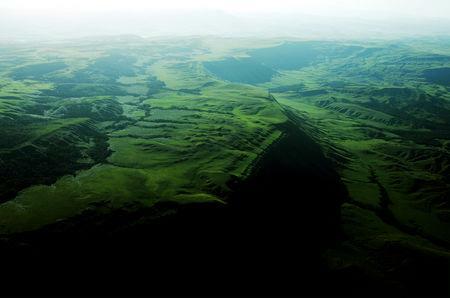 FILE PHOTO: An aerial view shows Roraima Tepuy at Canaima National Park Canaima National Park. PUERTO ORDAZ, Venezuela (Reuters) - Venezuela's Pemon, an indigenous people living along the border with Brazil, are determined to allow into the embattled country any foreign aid that may arrive, even if that means a showdown with Venezuelan security forces and the government of President Nicolas Maduro. Brazil has joined the United states as well as most countries in Latin America and Europe in recognizing Guaido as Venezuela's legitimate interim leader, arguing that Maduro was re-elected in a fraudulent May 2018 vote. Six leaders of the Pemon community residing in the "Gran Sabana" (or "Great Savannah") municipality bordering Brazil told Reuters that the population's pressing needs should trump any politicization of humanitarian aid. "We are physically prepared - without weapons - and willing to open the border to receive the humanitarian aid," Gran Sabana Mayor Emilio Gonzalez told Reuters. "Neither the National Guard not the government can stop this." 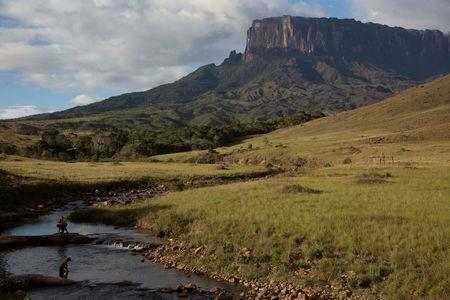 "We are the natives of Gran Sabana and we will not allow some generals from outside to decide for us," said Jorge Perez, the region's councilman for indigenous communities. "We are the legitimate authorities." "For any emergency, they are taking us to Brazil - it's embarrassing; the hospital of Boa Vista is full of Venezuelan patients," he said. "If humanitarian aid arrives and is prevented from entering, we will suspend the entry of government trucks too," said Angel Paez, a Pemon leader from the Akurimo territory of Gran Sabana. "If there aren't for the people, then there won't be for the government."